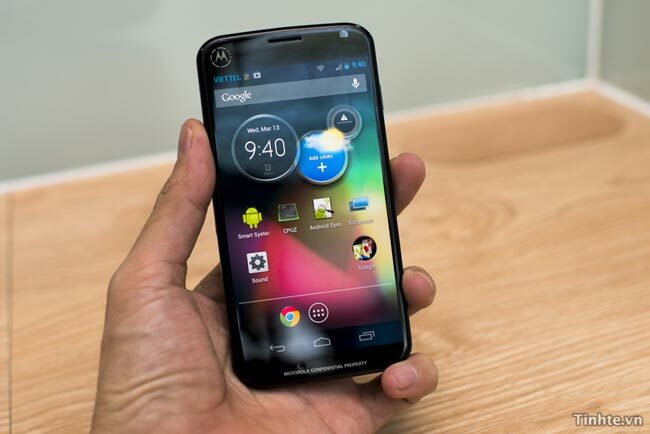 We have been hearing rumors for a while about the new Motorola X Phone, the device has now been confirmed by Motorola’s CEO, Dennis Woodside, the handset will launch this summer and will be called the Moto X. We have heard a number of rumored specifications for the Moto X, which include a 4.7 inch full HD display with a resolution of 1920 x 1080 pixels and possibly Android 5.0 Key Lime Pie. Motorola will also have a number of other new device launching after the Moto X, these devices will launch between now and October, as yet we do not have any more details on other devices apart from the Moto X. We are looking forward to seeing what the Moto X is like, whether Motorola will be able to release a popular handset like the LG made Google Nexus 4 or the Samsung Galaxy S4 remains to be seen, as soon as we get some more details we will let you guys know.